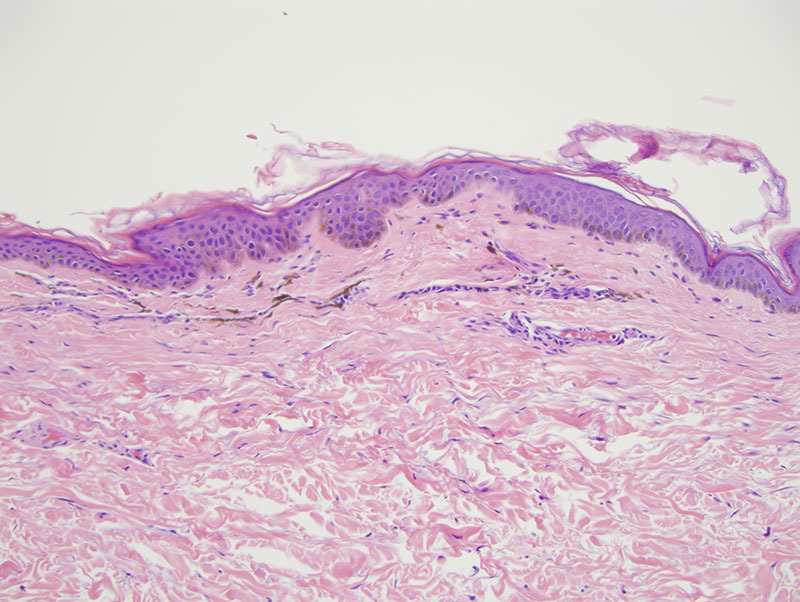 The findings are consistent with Poikiloderma of Civatte (a.k.a. 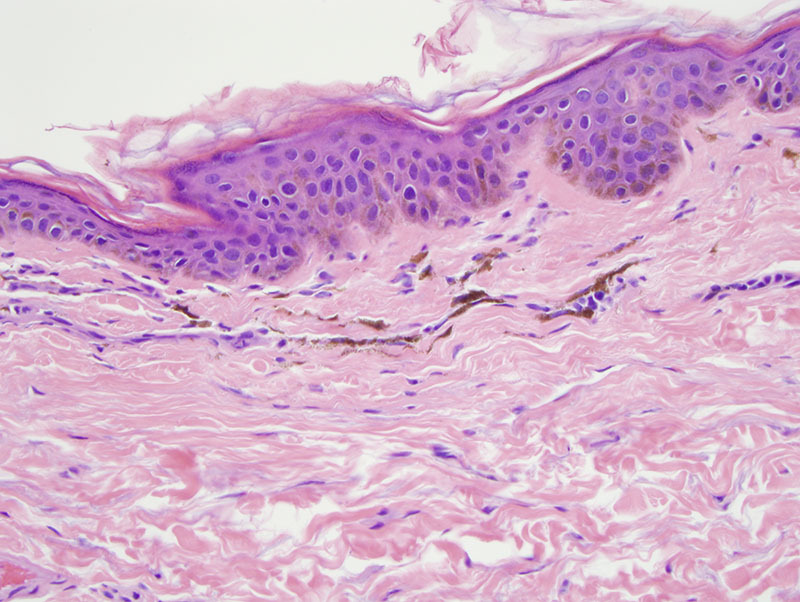 Riehl's melanosis) likely representing a chronic photoirritant dermatitis oftentimes related to topical fragrance exposure. 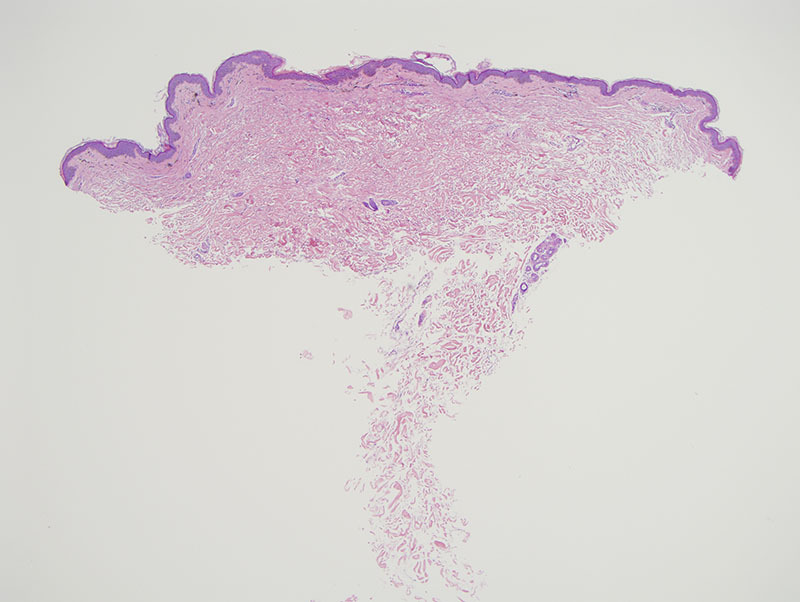 In particular, the epidermis is attenuated reflecting antecedent irritant epidermal changes with secondary pigmentary incontinence accompanied by chronic dermopathy alterations being those of superficial fibrosis with vascular ectasia. There are many articles on this entity dating back to 1932. A variety of other name designations such as erythrosis interfollicularis colli and melanoderma toxica have been applied to this condition. 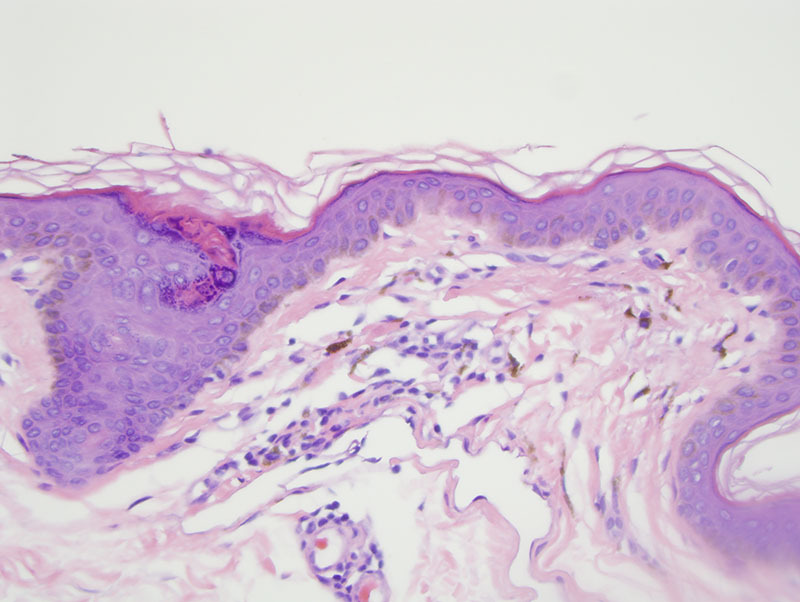 Due to its occurrence in menopausal and post menopausal women, endocrine factors along with specific contactant exposure could be etiologically important.